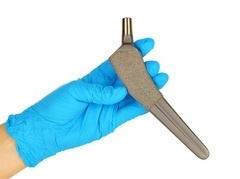 The MicroPort Profemur Modular-Neck Implant is designed to be used in minimally-invasive hip surgery. MicroPort Orthopedics, Inc., a Chinese medical device manufacturer, claims that the system’s modular configuration helps to reduce the risk of soft-tissue damage and other complications associated with traditional, fixed hip implants. However, in August 2015, the company recalled more than 10,800 Profemur Long Cobalt Chrome 8 Degree Varus/Valgus Modular Necks after the components were associated with an unexpected rate of fractures. When a patient receives an artificial hip, damaged portions of the natural hip joint are removed and replaced with prosthetic parts including a femoral head, femoral stem and modular neck. The Profemur hip system is a modular system, as it does not have an attached (or fixed) neck. Rather, the system utilizes a series of modular necks that a surgeon can use to attach to the stem once inserted. According to MicroPort, this modular system enables the surgeon to avoid trauma to the soft tissue surrounding the joint, and allows the physician to adjust leg length and create a more customized fit for the patient. MicroPort began manufacturing the Profemur Modular-Neck System in 2013, after it obtained the franchise as part of it acquisition of Wright Medical Group’s OrthoRecon business. Prior to the acquisition, Profemur hip replacements had been named in a number of product liability lawsuits filed on behalf of patients who allegedly experienced the catastrophic failure of their implant when the modular femoral neck suddenly fractured. In August 2015, MicroPort issued a recall for Profemur Long Cobalt Chrome 8 Degree Varus/Valgus Modular Necks after the components were associated with an unexpected rate of fractures. In October, the U.S. Food & Drug Administration (FDA) assigned the recall Class I status, which indicates that the affected devices are associated with a risk of serious injury or death. According to the agency, 10,825 Profemur modular necks were recalled in the U.S. MicroPort has stated that 794 units “currently in the field” are subject to the voluntary recall. In announcing the recall, MicroPort acknowledged that it had received 28 reports of implant fractures related to the recalled modular neck. Should such a fracture occur, Profemur patients may experience sudden pain, instability and difficulty walking and performing common tasks. The most serious fractures will require revision surgery to remove and replace the neck and stem components. In some cases, emergency revision may be necessary, as acute fracture can lead to neurovascular damage, hematoma, hemorrhage, and even death. The MicroPort Profemur Modular-Neck Hip System components affected by this recall were manufactured from June 15, 2009 to July 22, 2015, and distributed from June 15, 2009 to July 31, 2015. Patients have been advised to contact their doctor immediately if they experience the sudden onset of severe pain in the vicinity of their hip implant, or any other symptoms that may be related to this recall.